No surface is safe when Learnist spends the afternoon! Home/Events, Graffiti Art, Mural Production, Team Building Workshops/No surface is safe when Learnist spends the afternoon! 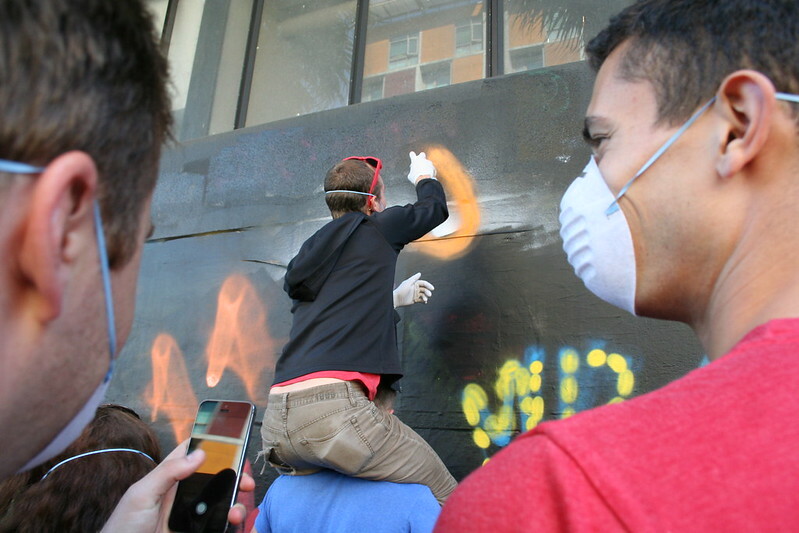 The team from Learnist stopped by 1AM and treated themselves to a healthy combination of laughs and graff. 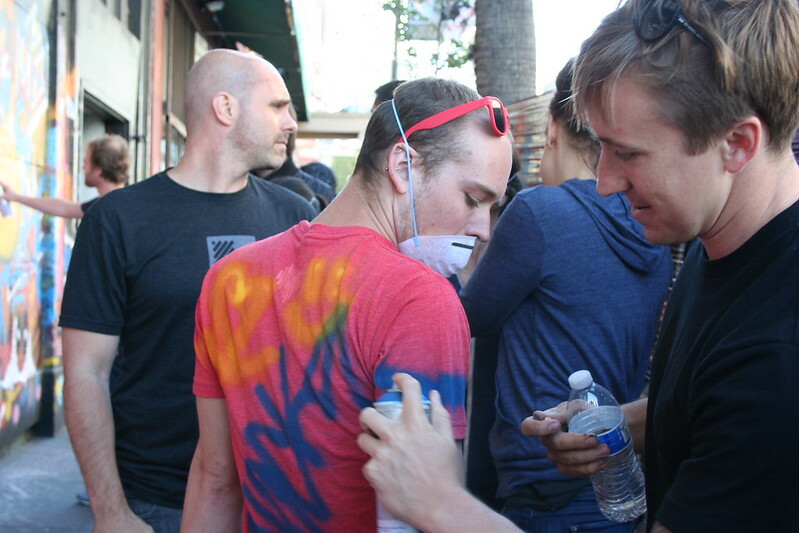 Quickly becoming inventive in regard to both how and where they spray painted, the group was as eager to learn how to tag on the gallery’s walls as their company’s namesake would suggest. By the workshop’s end, they were able to proudly take a canvas with their company’s slogan, “Learn More”, back to their office! For questions related to your next team-building workshop, please email privateevents@1amsf.com for more information!